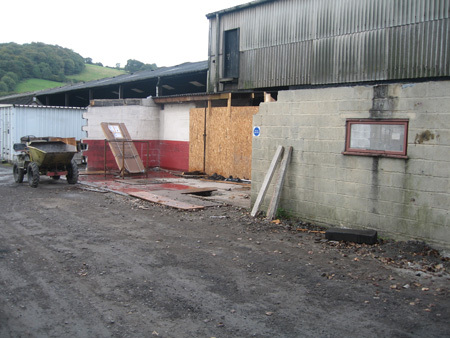 Work has recently started on the redevelopment of the Buckfastleigh Works. 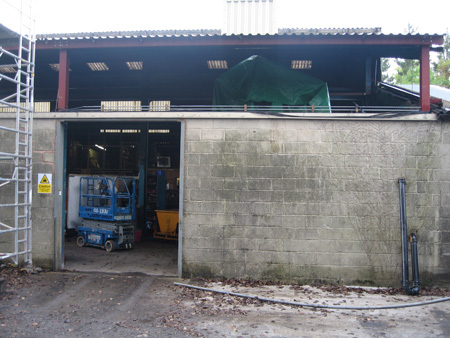 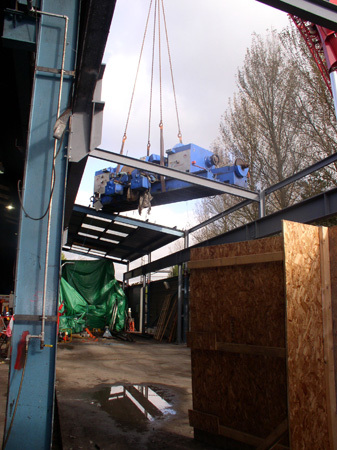 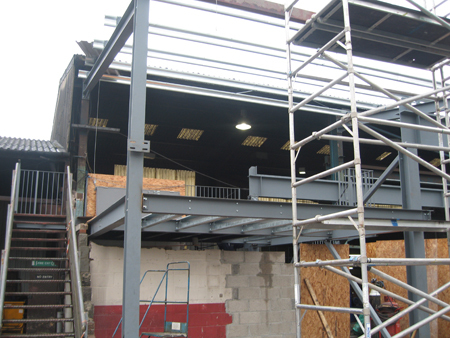 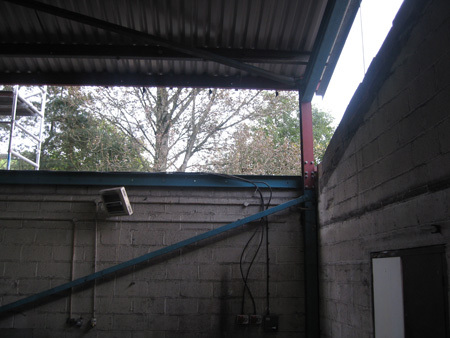 Basically the roof on the single storey section of the workshop is being lifted to the same height as the new section over the vertical boring machine to allow for the installation of new machinery to help us with the growing trade of fitting new tyres. 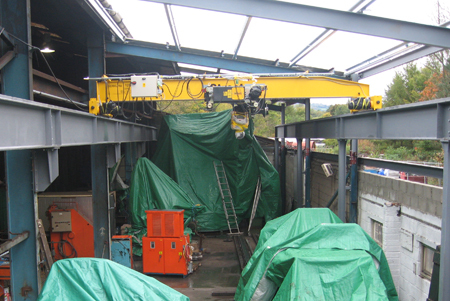 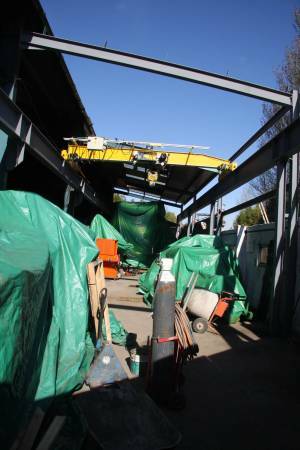 The oportunity is also being taken to install another travelling crane, new mess room and revised visitor viewing area. 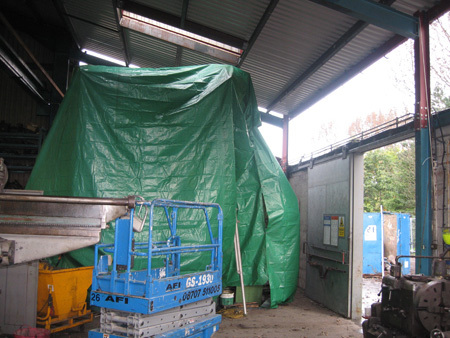 The boring machine all wrapped up for Christmas! 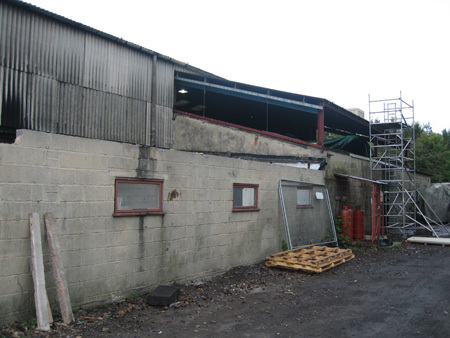 The old machine shop is now roofless! 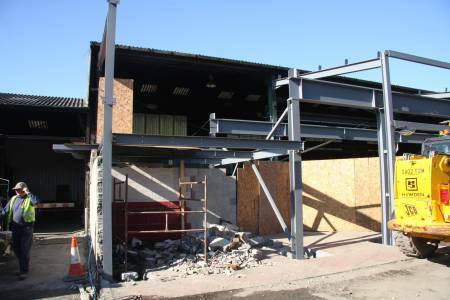 An empty machine shop just waiting for the new equipment. 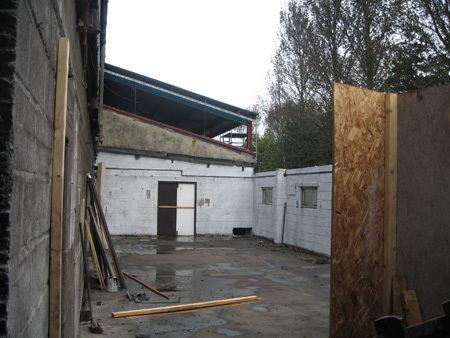 Photographs © Chris "The Gardener". 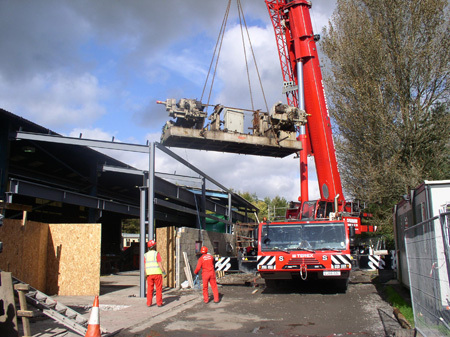 Thursday 09th October 2008 - The "new" machinery arrives. 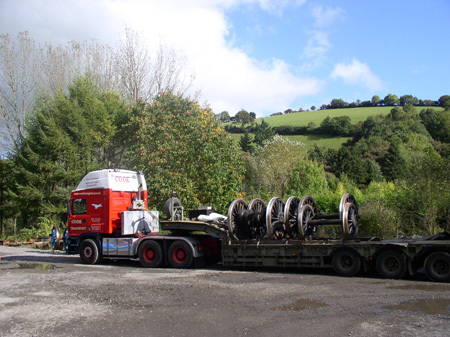 Another set of finished wheels leaves the Works. 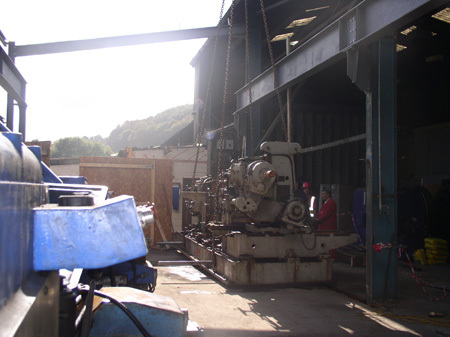 These are on their way back to the Bluebell Railway in Sussex for their E4 Radial having received a quick reprofiling job for the LBSCR loco. 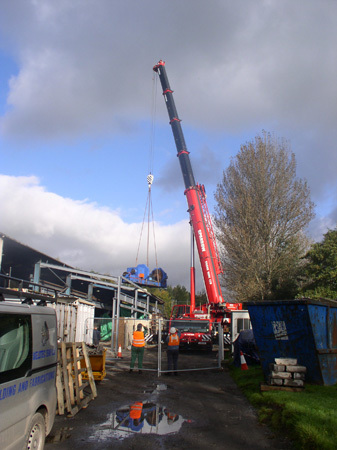 Saturday 11th October 2008 - The "new" machinery arrives.